I think the NCECA conference is basically a hundred joyful hugs hello followed by a thousand tearful tugs goodbye, and I’m never 100% certain when that shift happens. As big as our conference is now, some people I only manage to connect with once, so that one embrace has to serve as both. And when I get on that plane and leave it all behind, there’s definitely a feeling of “post partum”. I remember in Tampa, which was not my first conference, but was my first conference as a board member, which made it a whole different experience. I really lost it by the end of the conference, and I just could NOT stop the tears from pouring out of my eyes. So I had to develop some post-conference coping strategies. Maybe they’ll help others. I download my brain and give myself some goals, assignments and deadlines….I sit down with my computer and I make notes about what I want to do differently next year at the conference. I make notes about things I need to follow up on from this year’s conference. I create contact cards for new people I met and make notes about what plans we made. I put reminders in my calendar. I start emails and save them as drafts to finish later, and I set some goals of how I’m going to carry the momentum energy & excitement of the conference into my regular routine. I watch the videos. 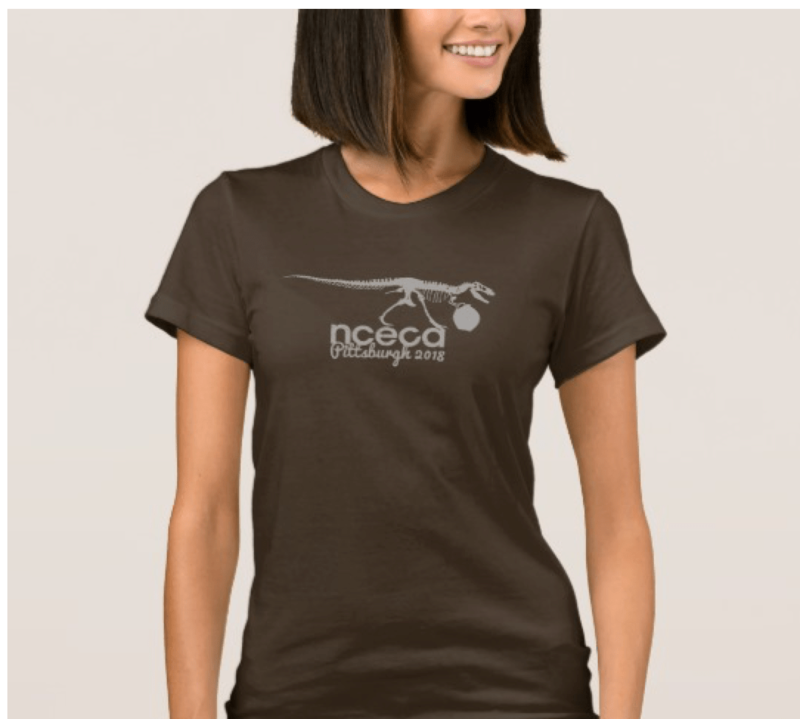 OK, actually, I edit the videos and upload them to youtube (Did you know that NCECA does that? If not, check out our YouTube channel now with more than 300 videos from a variety of conferences, including 60 so far from 2018, 85 from 2017, and 50 from the year before that.) As I’m writing this, the edited video for Dave, HBCU & Clay is processing and exporting in preparation for me to upload it. It took me longer than many of the videos usually take me because it was just so moving. I was absolutely captivated by the presenters, and i often forgot about doing my job of editing and just got lost in the words and emotions. And I’m not going to say I’m sorry for that delay in getting things online. But I will say you need to set aside an hour and a half and watch it. Actually, set aside a few hours, because from there you will get lost in the other presentations too. We had some really stellar programming this year. Louis Katz said he was making a point of watching one presentation each day, which is great, because that takes the conference experience and extends it by probably 3 months! 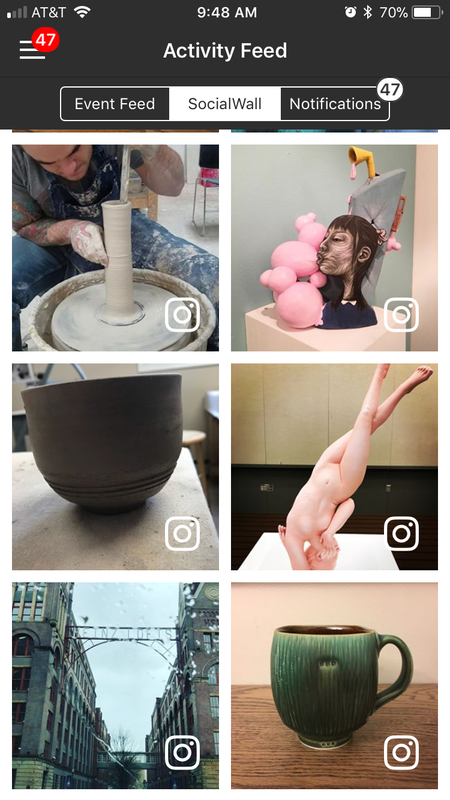 I open up the NCECA App and look through it again to see what I missed on the social wall and in the notifications. I think the App this year was better than ever and I believe it’s just going to become more and more robust. Don’t delete it from your phone, because we can all make a point of keeping it relevant as we communicate throughout the year. 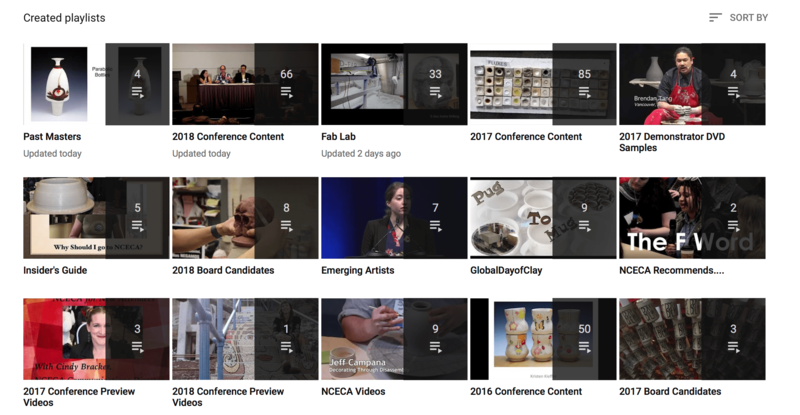 Explore the connection & interaction features and go back to the programming events and review images and documents uploaded by presenters, or contact that company from the resource hall that you needed to get in touch with. The NCECA App is a great year round resource. Now i WILL apologize because I think I sound a bit like an advertisement, but really it’s just because I’m passionate about providing communication tools to people, which, let’s remember, is kind of my job….. I visit the NCECA website and look at the open calls and opportunities. if you aren’t doing this, you may be missing out on amazing things. In addition to open programming (Have something you want to share? Come join us in Claytopia) and exhibition calls, we have an open call out for two amazing international residencies. Other things pop up throughout the year as well, so please make a habit of checking in regularly. So those are my top five fixes for the Post-NCECA blues….what do you do to get by the other 51 weeks of the year?